Brexit questions persist: If, when and how much? One thousand days after a majority of voters decided that the United Kingdom should leave the European Union, it is still not clear if, how or when this is going to happen. The result of the June 2016 referendum delivered a huge shock to the British establishment. This came after the peoples of Britain and Northern Ireland had been urged to remain in the EU by the Tory-led coalition government, all the mainstream political parties, the main business organizations, the Bank of England, most trade union leaders, many former diplomatic and military chiefs and even U.S. President Obama. 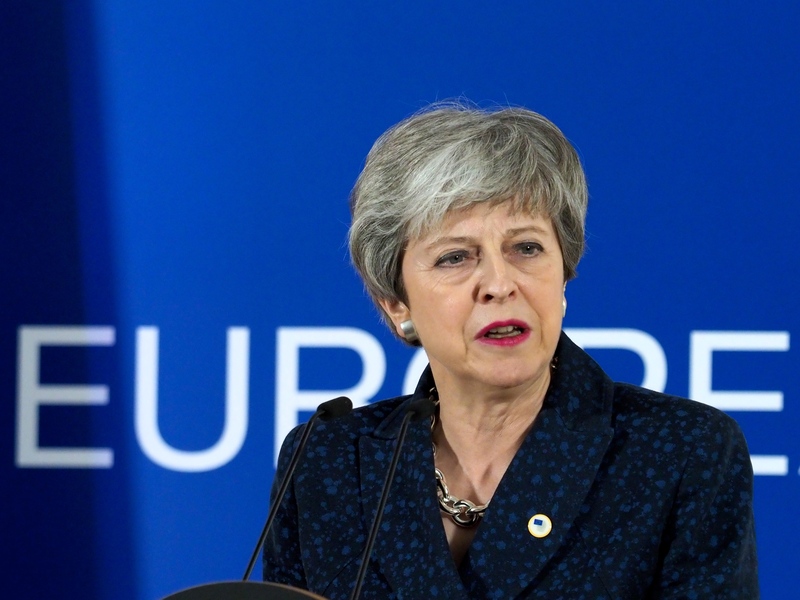 The government and the pro-EU movement had also warned of dire economic, political and security consequences should people ignore their advice. Yet a clear majority of voters ignored that advice, demanding that the Westminster parliament should regain full sovereignty over the U.K.'s laws, borders and trade. Undoubtedly, too, many working-class electors saw the referendum as an opportunity to express their distrust of politicians, bankers and so-called "experts," and to oppose policies of austerity and privatization. Then as now, people were fed up with low incomes, deteriorating public services and a lack of decent, affordable housing. At the May 2017 General Election, both the Conservative and Labour parties pledged to implement the result of the EU referendum. So why has the quest for "Brexit" turned the referendum shock into a full-blown parliamentary and political crisis? Prime Minister Theresa May and Chancellor of the Exchequer Philip Hammond have been determined to carry out the wishes of their Business Advisory Council of top industrialists and financiers. These powerful forces proposed a "half-Brexit" – whereby the U.K. would formally leave the EU while remaining tied to EU Single Market rules. These rules limit state intervention in the economy, while upholding the freedoms to move capital, labor and market operations across Europe in order to maximize corporate profits. Under the half-Brexit Withdrawal Agreement, concluded with the EU last year, the U.K. would remain part of the EU Single Market for most goods during a 20-month transition period. Many financial services would be excluded, enabling the City of London to escape the threat of mild EU regulation. Should no new permanent relationship be agreed, a "backstop" device would thereafter prevent the construction of a "hard border" between Northern Ireland and Ireland, and would lock the whole of the U.K. into a single market and customs arrangement with the EU, preventing future British governments from reaching their own international trade deals. Unfortunately for May, her Withdrawal Agreement has been rejected in two of the biggest defeats in British parliamentary history. Despite having legislated for the U.K. to leave the EU on March 29 ("Brexit Day"), a majority of MPs – including most Labourites – would prefer a quarter-Brexit or no Brexit at all, while a significant minority of Conservatives are still holding out for a full Brexit. 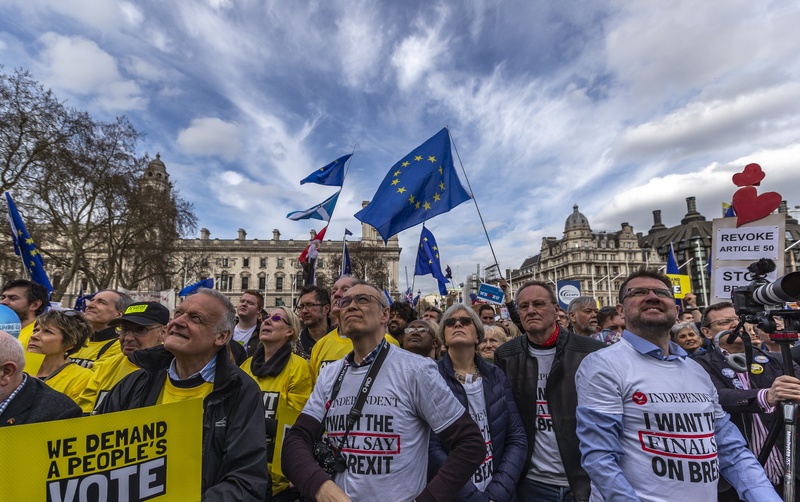 Many opposition MPs want a second referendum in order to cancel Brexit, emboldened by a media campaign portraying the 17.4 million "Leave" voters as ignorant reactionaries, racists and nationalists, and forecasting catastrophe should Brexit go ahead. This has shifted public opinion marginally against Brexit, although there is less support for what the millionaire campaigners for a second referendum cynically call a "People's Vote." Now the EU heads of government – keen to keep Britain aligned with the EU Single Market and Customs Union – have offered the Westminster parliament a new range of options: first, approve the Withdrawal Agreement before March 29 and have until May 22 to legislate for a delayed Brexit Day; second, reject the agreement and leave the EU no later than April 12; third, seek a longer extension if the British government can "indicate a way forward" and take part in the European Parliament elections this May; or fourth, revoke "Article 50" and the decision to quit the EU. Given the British government's lack of preparation, leaving the EU with no Withdrawal Agreement would cause substantial, if temporary, disruption to trade with the EU. However, it would also mean no payment of a £49 billion "divorce bill" to the EU, and freedom for British governments to carry out their own economic, financial and labor policies. Many on the political left, as well as on the right, would be happy with this scenario. More likely is that MPs will either adopt the Withdrawal Agreement or delay Brexit still further to negotiate an amended quarter-Brexit. The latter course might allow time for a second referendum or General Election, resulting in a half- or quarter-Brexit or no Brexit at all. The main casualty of most scenarios could be the Labour Opposition, which increasingly appears to many working-class electors as an anti-Brexit party. Conversely, the main beneficiaries would be the far right, feeding on popular disillusionment and likely filling the anti-EU vacuum gifted to them by Labour. Robert Griffiths is former Senior Lecturer in Political Economy and History at the University of Wales and currently General Secretary of the Communist Party of Britain. In the wake of the Brexit vote and PM May's two failed withdrawal agreements, Britain is as fractured as ever about how to move forward.